But we haven't thought about food security, not one meeting. Before I can answer it we must first establish some points about Zombieism. Regular visitors will be aware of our Institute’s current Zombieism research and can skip this section, but for those of you not familiar with it, read on. Here at the ZITS we believe that zombie’s will most likely be caused by a new type of prion disease, similar to vCJD AKA human mad cow disease. 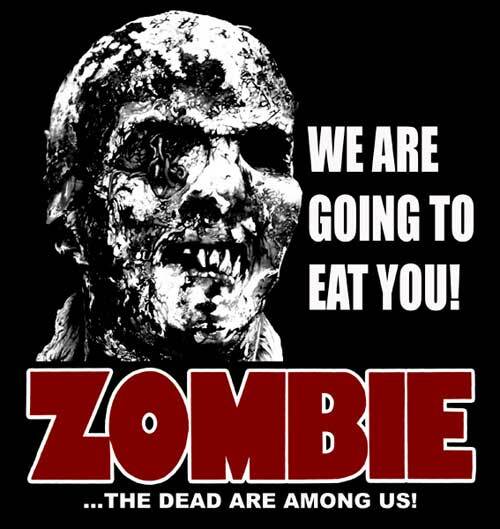 Unlike movie zombies, sufferers will not eat only human flesh or brains, but any food source they come across. In fact there is presently nothing that can occur in a human to make them only want to eat human flesh or brains. Genuine Zombieism is highly unlikely to make a person become clinically dead, then return to life, referred to in fiction as undead. They would in reality be a human who has contracted an illness with specific symptoms. They would not live indefinitely, but wither and die as the disease progressed. How long that would take very much depends on the causal agent. Furthermore, prion disease is very rare in humans, to date there have been less than 200 cases of vCJD, so at the moment it is very unlikely we will reach a scenario whereby there were no humans left who were not infected. Of course there is no guarantee that Zombieism will be the result of a prion disease, it might be a new strain of virus or a previously unseen parasite. So to answer Albert’s question we can widen our net to include these biological agents. The fact that you are alive and reading this means that there has not yet been a disease that has wiped out the human race, or left only infected humans, unless such a disease occurred a very long time ago to a different species of Homo genus. The Homo Simponus perhaps ...? If we look at the most deadly disease pandemics that have occurred we can try and seek a comparison. The Spanish Flu may be the deadliest pandemic in history, with somewhere between 20 – 200 million people dying because of it. Then there is the infamous bubonic plague that throughout its history has claimed the lives of some 200 million victims. Now whilst these diseases have produced a tremendous loss of life it is worth bearing in mind that the human population is presently just over seven billion. So Zombieism would have to be particularly vicious to turn us all. But let’s think hypothetically, say Zombieism did spread to the entire population of the world, how long would the food supply last? We produce around seven billion tons of food each year. If everyone in the world has succumbed to Zombieism, it is safe to say no one will be producing any more. It is very difficult to get exact figures to work with here. It is hard to know how much food is readily accessible to the zombies. Some may be in cans they cannot open, and as a zombie isn’t exactly a gourmet chef, they’re going to be going for raw food only. Zombies may also consume each other when they get desperate. 'We've had some times zombie-ing together Bill but I can't take your moaning one minute more'. 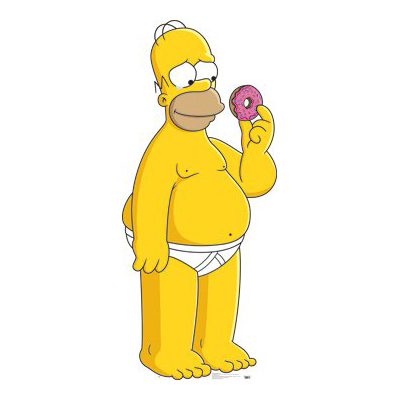 The average person/zombie needs between 2,000 – 3,000 calories a day. In 2003, the world produced 2,809 calories per person per day, but by the end of 2006 there was only enough of a reserve to last the world 57 days. I haven’t been able to source data more recent than that, but we could assume that we’re running a careful balance these days whereby we only just keep producing enough food to get by, without having large reserves. So by the time we reached a point where there were only zombies, and no one producing more food, these zombies would run out of food in probably a matter of weeks, maybe even days. How long the zombies will ultimately survive from there depends on how long the disease takes to kill them, assuming they don’t die of starvation, or dehydration, first. With a prion disease we estimate a person surviving three to six months after full onset. A more aggressive biological agent, like a virus, may act even quicker. So in conclusion, the answer to the question, ‘what would the zombies do after they have depleted their only source of nutrients’ is ... they would die. However it is unlikely we’d reach a scenario where everybody was infected by Zombieism in the first place, and if we do there’s no need to worry, because you’d soon be dead. As always, if there is anything you want to know about the real science behind zombies, do get in touch. We’ll always do our best to answer your questions, no matter how difficult or strange. 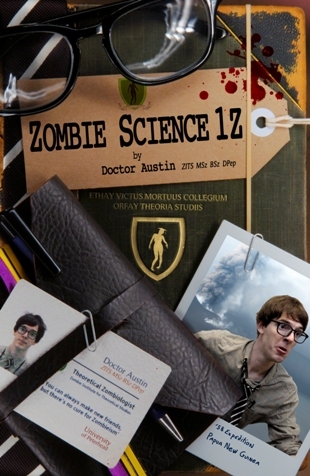 You can contact the Institute at info@zombiescience.co.uk.